I still have this 12-inch! Howdy folks! Unhappy Valentine's Day to you all! I'm looking forward to tomorrow: St. Skeletor's Day! I'm wrapped in my discarded tarp, in the fetal position, waiting for our dj to rub salt in the wounds ! Oh hell...I just time traveled. not leaving yet. Ian roolz ! Folks! Happy joyous Valentine's Day, people! No horriblyness, I say! Power of both y'all & final chapters of a good mystery! According to the interwebs, two members of Skip Bifferty went on to become members of Ian Dury & The Blockheads. Listen to this cute couple.... And they both love Mini's too!!! "Got my parachute pants! Listen to my Dead Can Dance!" Brendan Perry has a rather distinctive voice. Happy Valentine's Day Julie! And Mike Sin! Pleasant surprise! Happy Valentine's to ALL youse Children of the Night! "The Elements"! Julie's one of the station's foremost advocates of EWF. Good Abba cover. Another gem from "Mellow Traumatic Recordings". I noticed from Mike's block--"To Sir with Love! The Complete Mickie Most Recordings"--is that really ALL of 'em?? What a trove of 60s pop! Ok I give up. It doesn't like the and symbol on the phone. I am not being mean.... Stupid phone, you're supposed to be smart! Course *any* "VA"s from Mike are always spectacular! Bonjour pierre! Joyeux jour de Valentin! Happy Birthday Pierre!!!!! Bonne fete! AND your birthday, today? Well joyeux anniversaire to ya too! happy Valentine's Day to all of you ! Actually I have memories of that EWF song...... But it's supposed to be warm outside when I hear it! Ooooh TMC! "Another Day" w/ Liz Fraser!! The best thing about Valentine's Day is, all Valentine's Day candy is 50% off on February 15th. Lee Hazlewood's "Requiem For An Almost Lady" album would fit in right about here. That's what this night is all about, making Mike cry. Luckily I have a comforting shoulder. @Mike: Have to start working through the napkins now! Wow, Paul Williams performed a lot of the songs he wrote that others made famous. On this day..."1924 – The Computing Tabulating Recording Company renamed itself to International Business Machines, one of the world's largest companies by market capitalization." How DARE they! What an anti-steampunk decision!!! Cocteau Twins' "Calfskin Smack"--a dreamy, tranquil song for imagining Lupercalia! Sad songs that make you feel good... in a blues place in Chicago, the gal came on stage and said, "If you don't got the blues, we're gonna give you some, and if you got the blues, we're gonna take'em away." Perfect! @pierre: I fave'd that String Quartet version too! @FVH: That's what the blues are about! The Rascals are a beautiful thing! Get in the Don-o-Van parked 'round the corner! We'll listen to Donovan and partake of "herbs"! and the Moodies. I love this MAN, you heard it here first. "The Beatles business took a lease on 94 Baker Street, a Georgian town house dating from 1795, and the ground floor was proposed for the Apple shop"
Ah, the Apple Boutique was on 94 Baker Street. I'm familiar with that. Yes, tracks that don't match up--we've all seen that. Thanks for introducing us to the Focal Point though, I like them now! I tend to prefer "ONJ", but I love your preference of "Olivia Neutron Bomb"! @Meghan: It's the original, I think. Written by Sonny. Are you more familiar with her 80s re-working then? @pierre: A Valentine's show should step up one's romantic side! Speaking of Francoise "Zardy", I was pleased to find some time ago that there's a name for the French when the consonant crosses over to the next word: "liaison". Always great to have a word for phenomena, linguistic or otherwise! RIP Karen, was the 30th anniversary of her death last week. @FVH: French IS a *romance* language! I would assume so! Thanks Julie! I had fun! Folks, give, share, and make love today... Damn it! So long Julie, so long Mike! 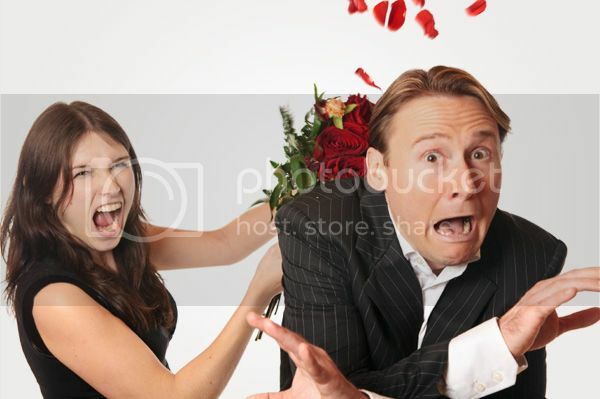 Great Valentine's Bipolar show, but such is love! @FVH: Words love each other and stay at the others place! @Meghan: Hmm, never heard that one. Words to live and love by, Mike! Happy Valentine's Day everyone! Have a great one! I tuned in to hear Mike Sin and I am really enjoying Julie's DJ-ing. How can such a fine DJ be a single lady?